These are our Competitors from Majuba TVET College who will be participating at the WorldSkills South Africa National Competition set to take place at the Durban ICC from 23-25 February 2019. We feature Nonkululeko Zungu (Plumbing Competitor) from Majuba TVET College who is currently preparing for the WorldSkills South Africa National Competition set to take place at the Durban ICC from 23-25 February 2019. She is excited and ready to get the Competition started against her male counterpaths. We feature Sibusiso Ndwandwe (Bricklaying Competitor) from Majuba TVET College who is currently preparing for the WorldSkills South Africa National Competition set to take place at the Durban ICC from 23-25 February 2019. He is excited and ready to get the Competition started. We feature Hlengiwe Mbuyazi (Welding Competitor) from Majuba TVET College who is currently preparing for the WorldSkills South Africa National Competition set to take place at the Durban ICC from 23-25 February 2019. She is excited and ready to get the Competition started. These aspiring young artisans from the College are winners from the KZN Provincial Worldskills Competition and will all proceed to participate in the WorldSkills National Competition set to take place at the Durban ICC in February 2018. 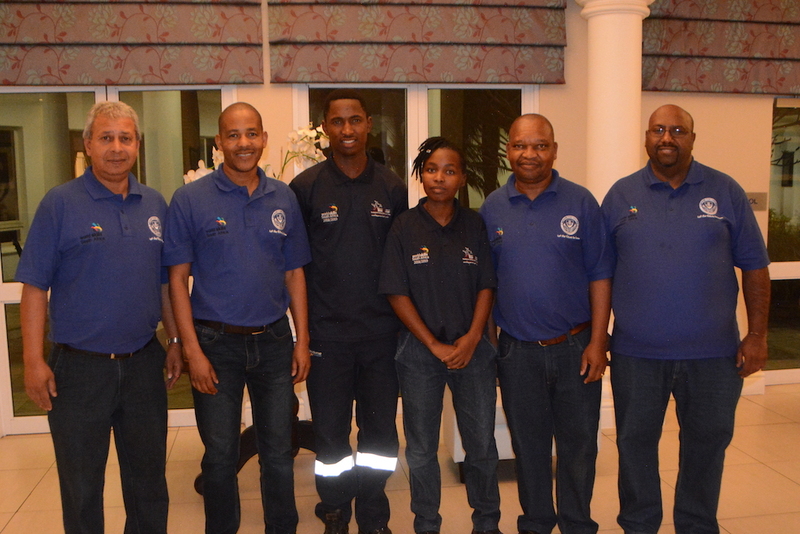 Majuba TVET College is extremely proud of 6 of their competitors who have held their nerve over stiff competition at the KZN Provincial WorldSkills competition. They pitted their skills against competitors mainly from TVET Colleges, Training Centres and private companies showing what it takes to be up there with the best. Khumbulani Nkosi from Newcastle Training Centre clinched first place winner at the KwaZulu-Natal WorldSkills Provincial Welding Competition which took place at Umfolozi TVET College, Alton Campus in Richards Bay. The second place winner also belonged to Majuba TVET College with the female welder Hlengiwe Mbuyazi from Majuba Technology Centre triumphing over all the young men from the other KwaZulu-Natal TVET Colleges, Training Centres and private companies. Sibusiso Ndwandwe (NCV student from Majuba Technology Centre) and Andile Manana (Newcastle Training Centre) took first and second place at the KwaZulu-Natal Provincial WorldSkills Bricklaying Competition held at Coastal KZN TVET College, Hammarsdale Campus. The Plumbing and Heating Provincial Competition was also held at the same Campus and Nonkululeko Zungu (NCV: Plumbing student from Majuba Technology Centre) took first place in the Province showing once again that female artisans are on the rise. 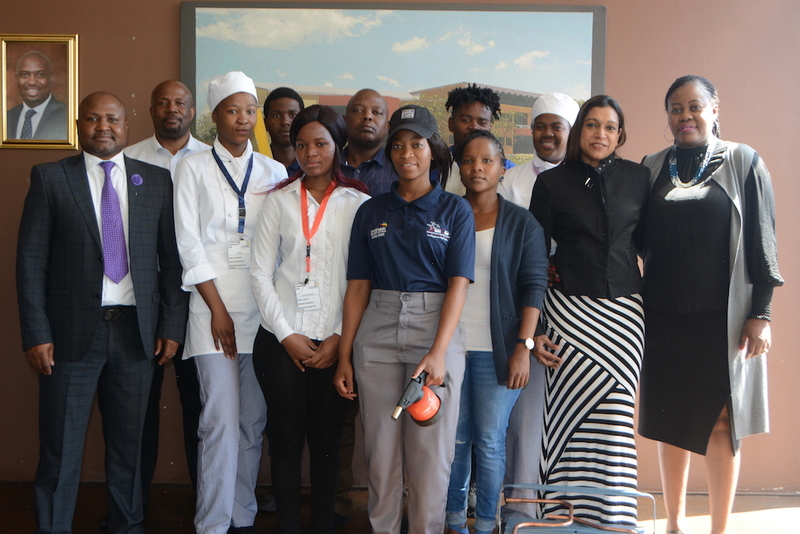 Both the KwaZulu-Natal WorldSkills Provincial Cooking Competition and the Restaurant Service Competition was hosted at the IT and Business Campus at Majuba TVET College. Sinethemba Malinga (Hospitality student from IT and Business Campus) was unstoppable in the kitchen and took first place convincingly in the Cooking Competition. Nqobile Nari (Hospitality student from IT and Business Campus) also did the College proud by capturing third place. In the Restaurant Services Competition, Nokukhanya Ndlazi (Hospitality student from IT and Business Campus) finished in second place. Mr. Helgard Boshoff, (Chairperson of the WorldSkills Committee at the College and also serving as the Chairperson of the KZN Provincial Worldskills Committee) offered them encouragement ahead of the National competition. “We extend our best wishes to all these young artisans and are very confident they will do us proud”, said a jubilant Mr. Boshoff. Nashveer Nemesar (Head of Marketing at WorldSkills South Africa) further highlighted that, “Skills creates job opportunities for young people. The young winners of WorldSkills South Africa are the future of our economy”. These aspiring young artisans will all proceed to participate in the WorldSkills National competition set to take place at the Durban ICC in February 2018. The winners at the Nationals will then book their place to represent South Africa at the WorldSkills International Competition to be held in Kazan, Russia in August 2019. WorldSkills Competitions are the gold standard of skills excellence. They inspire young Competitors to reach new heights, helping them turn their passion into a profession. 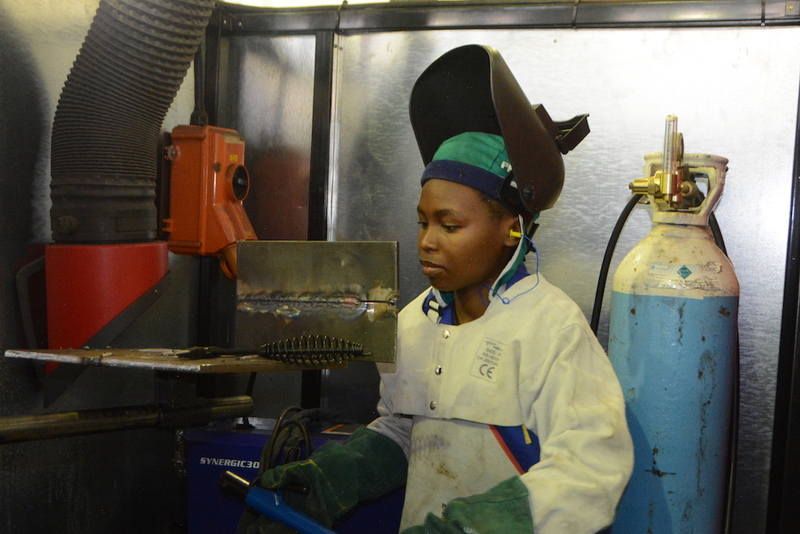 Hlengiwe Mbuyazi, female Welding competitor, from the College is living proof that female artisans are on the rise. She will be competing at the National WorldSkills Welding Competition being held at Durban ICC where we will see her performing just as well if not better than her male counterparts. A greater focus on creating equal opportunities for women in the country is fueling this trend. As a result women are seeing the opportunities and carving out their place in this traditionally male-dominated sector.